The Bell Inn01621 868154work Public HouseAndy & Rosie welcome you to The Bell Inn. 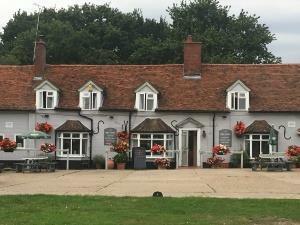 A welcoming public house for everyone to visit with gardens open to relax and have a drink or perhaps some lunch. We also have a cosy Saloon and a Public Bar which boast two log burners to keep you warm during the winter months. During the Summer we have a large beer garden to relax in with a large duck pond. Hens, pigs and other animals can be seen in the grounds too. Andy & Rosie welcome you to The Bell Inn. A welcoming public house for everyone to visit with gardens open to relax and have a drink or perhaps some lunch. We also have a cosy Saloon and a Public Bar which boast two log burners to keep you warm during the winter months. During the Summer we have a large beer garden to relax in with a large duck pond. Hens, pigs and other animals can be seen in the grounds too.